I'm in Real Simple Magazine! I spent much of this morning at work thinking up excuses to walk past my office mailbox. Located in the kitchen area near the water cooler and tea, it's usually more of an afterthought. I don't really get much mail at work, save for the occasional invoice (which goes straight to accounting) or--more often--catalogs from Pottery Barn and the Oriental Trading Company. Today however, I had a reason to keep checking. 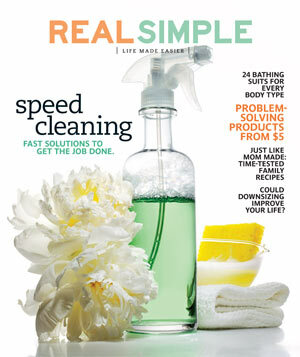 Today, the May issue of Real Simple magazine containing an article about my mom and me was scheduled to arrive! It was probably about 11AM when I finally spotted it. I'd walked over to get a bit of milk for my cereal and there it was, its characteristically thick and wide body slightly curved in the narrow box. I grabbed it and ran back to my desk, rhw cup of dry cereal in my left hand, Real Simple flapping in the air in my right. "It's here!" I breathlessly announced to my coworkers who knew all about it. I set the magazine down and flipped quickly to it, everyone crowding around me to see what the commotion was. And then I found it! On page 240 part of the story called From My Mother's Kitchen, a 1/4 page photo of my mom and me cooking (though really, I was just stirring a pot of boiling water), a brief article, my recipe for Camarones Enchilados (or deviled shrimp), and--on page 241--a gorgeous full-page photo of my beautiful shrimp shot by the fantastic photographer Ditte Isager. I was so honored to be part of this story. It's a Mother's Day piece that features six women talking about a treasured family recipe that they learned from their mother. 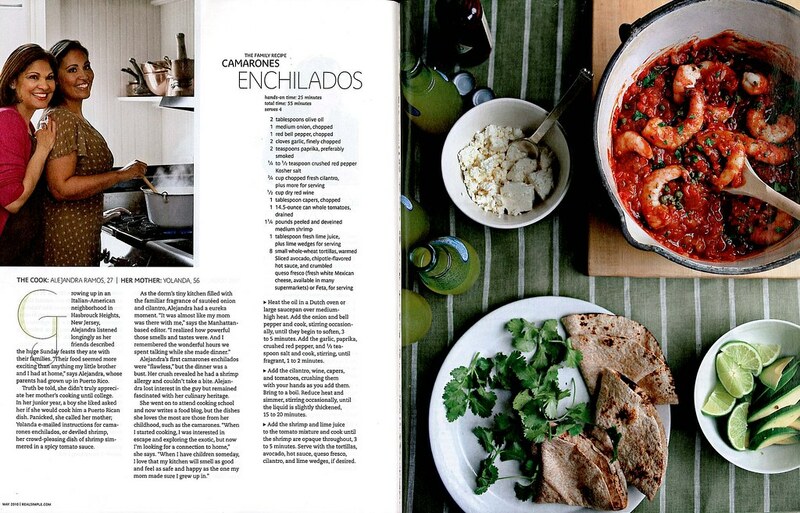 I talked about Camarones Enchilados, which is a wonderful dish of shrimp stewed in a spicy tomato sauce. You should read the article for the story, but what I will tell you (what isn't in the magazine) is that this has become one of my favorite things to make. 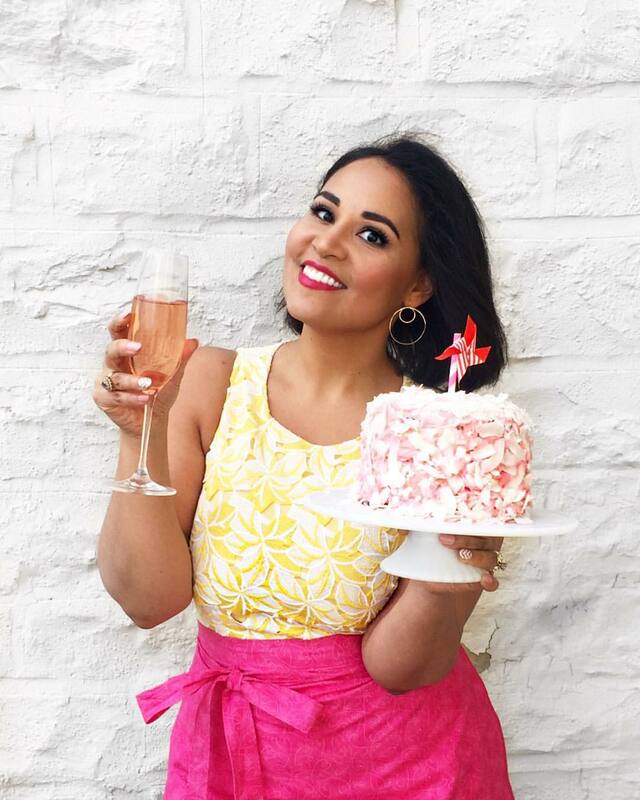 I actually updated the recipe a bit from what my mother originally taught me (sorry, Mama!) 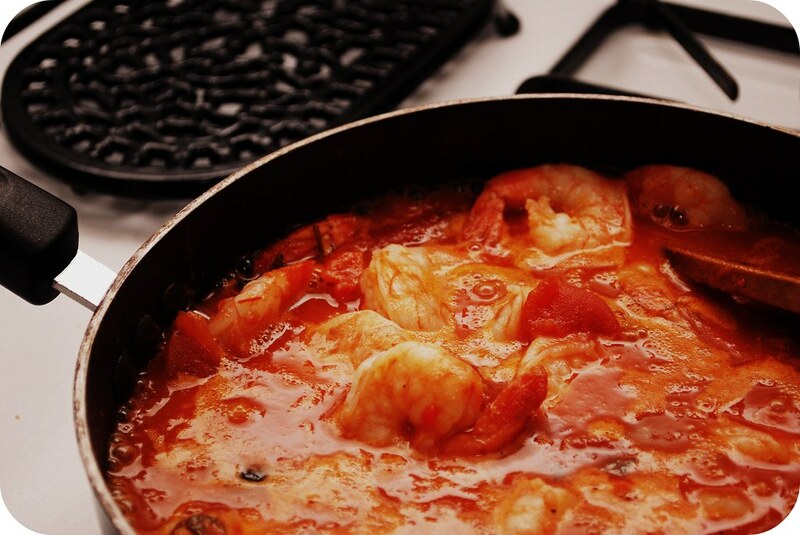 by adding smoked Spanish paprika and serving it differently. She serves it with white rice, salad, and plantains; I prefer it on charred whole wheat tortillas with a side of sliced avocado and a bit of salty white cheese. The recipe in the magazine is my updated version, but sentiment comes straight from my mom. Another cool thing to look out for: check out the wooden pilon (Spanish for mortar and pestle)that is on the shelf above the stove I'm cooking on. That's my real pilon that my mom got me in Puerto Rico several years ago; I use it regularly and I brought it with me to the photo shoot. The photo shoot was one of the most fun parts of the whole thing. My mom and I filled bags with clothing we wanted to wear and we met the team from Real Simple at a gorgeous loft down in the West Village. They welcomed us with an amazing breakfast, did our hair and make-up, and helped us choose outfits from what we'd brought. I had just come back from Puerto Rico (hence my very dark tan in the photo; I'm not usually that golden). I had also been freaking out a bit because I happened to come down with a ridiculous and rather inopportune case of UV poisoning on the last day of the trip. You can't tell from the photo, but I'm actually covered in a prickly UV rash from my neck all the way down to my toes! I mentioned it the photographer and photo editors who assured me that the final photo wouldn't show it (Yay, Photoshop! ).